I'm not going to waste my time (and yours!) by writing down how lousy my day had started yesterday but get on straight about JAMES MORRISON!! I managed to get a good seat; second row!! -- just because the first row was for VIPs (whomever they were..) I was there pretty early so Kirah and I were lining up really close to the door. The almost-2 hours wait before getting inside.. was worth it! 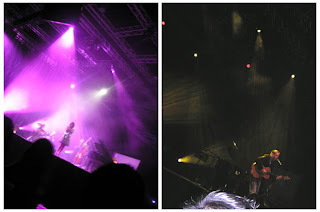 Dayang Nurfaizah had performed for a half an hour before Rick Price came out and performed completely solo for an hour. (He was very folk-sy, playing the guitar simultaneously with his harmonica!) I've never heard much of his songs before but I must say, some of the songs he performed last night were really nice! 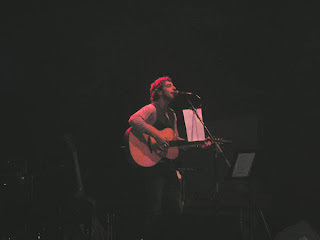 It was.. another 10 minutes before the REAL James Morrison came out and everyone in the hall screamed like maniacs again. James had performed a BUNCH of songs! He started off with Undiscovered, followed by The Letter -- and a NEW SONG which I have NO IDEA what's it called! (I got them up on my LL! Go there if you'd like to see/hear it! Sounds kinda mumble-y though.) Then he did a cover of John Lennon's Jealous Guy, The Pieces Don't Fit Anymore, How Come, You Give Me Something, This Boy, a cover song that sounded familiar but I can't figure out, Better Man, another cover; of Ray LaMontagne's Hold You In My Arms, My Uprising, Van Morrison's And It Stoned Me and Wonderful World. I'm trying to figure out the name of that cover song he did. (Found it!! It was a cover of The Zuton's Valerie) I was really excited when he started on Hold You In My Arms -- it's a wonderful song, and I only got myself acquainted with it quite recently; so when James said that if we'd liked his stuff, we'd like Ray LaMontagne's stuff too, I can't help but shout "I doo.. I dooo!!" hahhaha! James was simply incredible.. and charming, funny and really animated too! 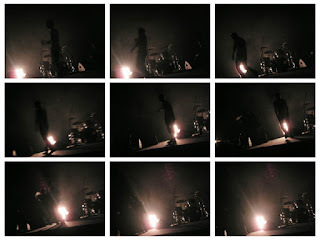 It was simply an incredible experience to have seen him perform live. And it made me oddly proud for the fact that he's my age! (Fine, it's also slightly depressing as I haven't accomplished half of what he's achieved.) 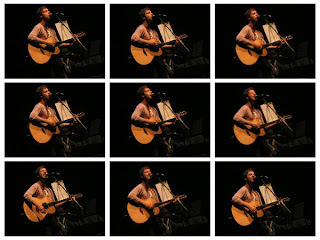 Still.. he's a brilliant singer-songwriter! JM left the stage at almost quarter past twelve.. then everybody cheered for more.. and HE CAME BACK and performed The Last Goodbye. I reckoned that it was a gimmick but Dida; my sister said that he had looked genuinely ready to leave. hehheh. Either way, he sounded beautiful with Nikolaij (? please correct me if I'm wrong, it's his usual bandmate) playing the piano. Aaah.. what a beautiful night. I'm praying that there'll be more like it! 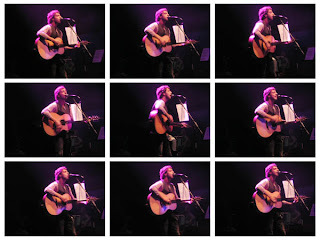 For you JM fans, I've uploaded some bunch of things all over the internet! If you like to see the photos; click for my Facebook page. If you're looking for some of the videos; click for my YouTube account! Or you'd like to listen to a bad quality (the sound! JM's awesome!) 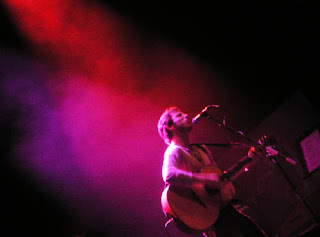 of the cover of Ray LaMontagne's song, here's my LifeLogger page. Is there anything else I'd left out? I don't think so. ade amek videos of JM's performance tak?? nak tengok!!! hahha! I've already put the links to my YouTube there!